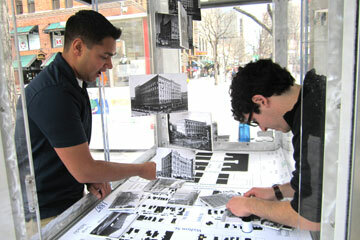 Today less than 5% of licensed architects are minorities. In cities like Denver, where minorities make up nearly 75% of their public school population, that number is even less. We seek to change that by awarding a scholarship to a CU Denver College of Architecture and Planning student facing financial hardship. Statistically, underrepresented minorities are at risk of dropping out of college at a 25% higher rate than their peers. Over half of those that dropout attribute their decision to financial hardship. I would like to ask you to please join us in helping grow the minority pool, not only in architecture but in all professions.